The hardware inside the latest, most cutting-edge, earbuds is years old. But the code is all new. 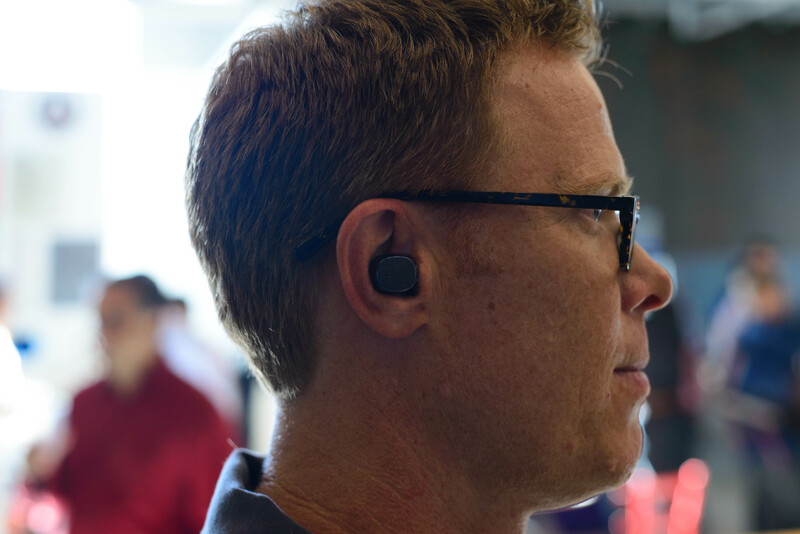 This story includes interviews with CSR senior manager of audio marketing Kevin Carey and Bragi president Jim Ninesling. My obsession with the movie Her isn’t about the complex plot depicting a man’s relationship with his gadget, it’s directed at the small wireless earbud Joaquin Phoenix used in the film. It was tiny and spectacular, unencumbered by technical realities. That’s probably why I was enthralled when the company Earin launched its Kickstarter for a pair of impossibly small earbuds. Instead of only one playing in mono like in the movie, however, there are two–wirelessly connected–that can play in stereo. Earin isn’t the only manufacturer making tiny earbuds. There’s also Bragi making The Dash, Ownphones, and Motorola, each creating some small wireless earbuds that tuck fashionably inside your ear. The simultaneous timing of these product releases and announcements got me curious about what was behind these advancements. Turns out, these devices are using technology that is three years old. Integrating all of the components so they spoke to one another required an operating system designed by us. The CSR8670 hardware was released in September of 2011. So why the delay in getting this type of earbud to market? The release of a new ADK (accessory development kit) with the updated “True Wireless Audio” application looks like it may have been the turning point. The software allows manufacturers to design headsets and speakers that don’t need wires to connect the left and right speakers or earbuds together. CSR isn’t the only company innovating in the system on a chip space, there’s also ISSC and Broadcom. Earin, however, lists CSR as the hardware powering its earbuds–specifically the CSR8670. Bragi also confirmed that it’s using CSR technology, but didn’t give specifics about which model. And they seem to have the most ambitious offering, stuffing as many components and features into people’s ears with The Dash as possible. In addition to just making the small wireless earbuds, the product also has 4 GB of on-board storage, a fitness tracker, heart rate monitor, and is waterproof. The company has been documenting its endeavor through the product’s Kickstarter page, detailing exactly how much work is involved in making such tiny earbuds. It shows that just because all the pieces are available doesn’t mean these amazing new products won’t still be a challenge to build.